A highly motivated and experienced Financial Services CEO, having started at FBD Insurance PLC . 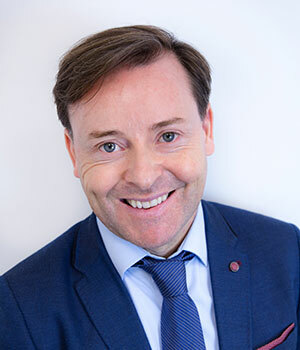 He then started his own mortgage brokerage holding the highest authorisation from the the Central Bank of Ireland, building the business into one of Ireland’s largest providers of financial services. Known for identifying opportunities in turbulent markets and building on his financial and legal background Affiniti Finance was born in 2014. Ian has a clear ability to switch perspectives easily to gain deeper insights into future business risks, deriving proactive measures and initiatives to exploit them. With an entrepreneurial spirit, and the ability to build and lead diverse groups to work together, achieving significant mutual success.